Dimensions: total height 82cm, seat height 45cm, width 59cm, depth 54cm, weight 3,7kg. 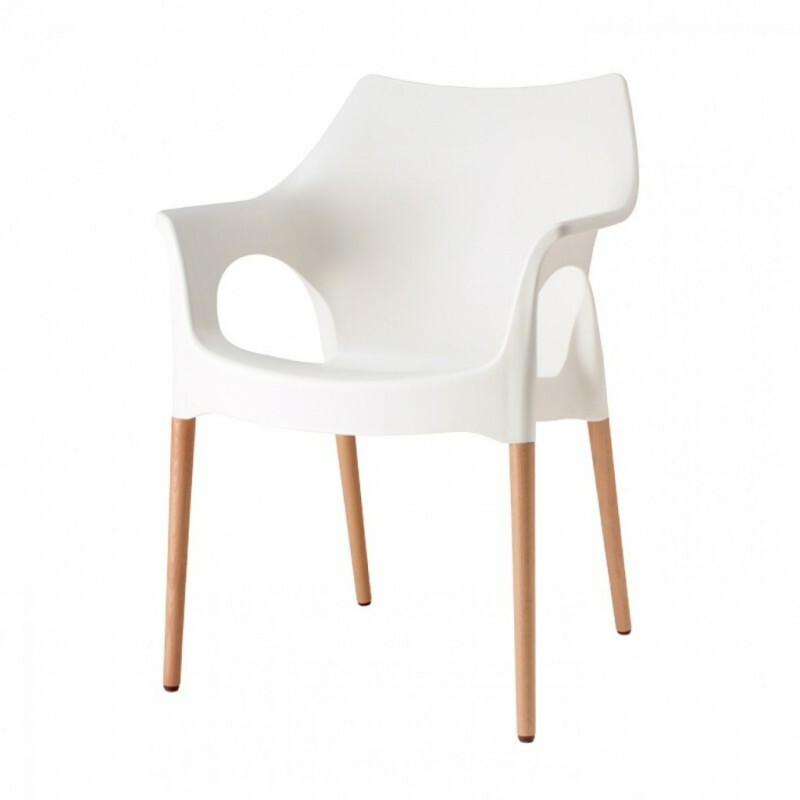 Material: legs in natural beech, seat in polypropylene. Natural Ola, is a splendid armchair for indoor use. A product from the essential shapes, able to offer elegant chromatic combinations, for a classic and refined look. Natural Ola, thanks to its design, it fits perfectly in any context, transforming the spaces with a touch of class. Ideal both in the domestic sphere than in the contract sector.